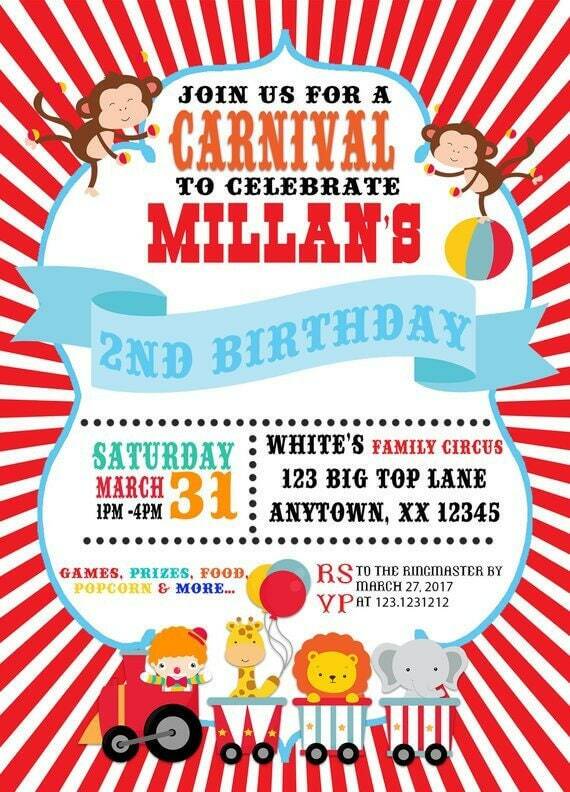 How fun and colorful are these circus carnival theme kids birthday invitations perfect to set the tone for a fantastic circus themed birthday celebration for your special little boy or girl. This circus birthday invitation can be used for a birthday, shower, etc. Just let me know what you are wanting and I will be happy to help you! In a hurry NOT A PROBLEM convo us chances are we are online and your order can be expedite NO EXTRA CHARGE.